If you live or own a home in Colorado, and are facing foreclosure, please see below for the step-by-step process. When you develop a definite plan of action with well-timed, well-informed steps, you can stop the foreclosure process and save your home. We have outlined the foreclose process for the state of Colorado. In contrast to most states, where the trustee is usually the hired gun of the lender, Colorado has an impartial, accountable, "public trustee" appointed by the Governor for each county, who handles power of sale foreclosures on request. The public trustee may take only the compensation set by law. A private lender engages a public trustee by filing with the trustee two copies of a notice of election and demand for sale, the original note or a suitable bond and a mailing list of persons who must receive foreclosure notices. A notice of sale stating the time and place of the foreclosure must be advertised in accordance with the terms of the deed of trust, but under Colorado law all deeds of trust must prescribe a weekly advertising period for the notice of sale in a newspaper of general circulation, of not less than four weeks. The public trustee must record the lender’s notice of election and demand for sale. The public trustee must mail, within ten days after the publication of the notice of election and demand for sale, a copy of the same and a notice of sale as published in the newspaper, to the borrower and any owner or claimant of record, at the address given in the recorded instrument. The public trustee must also mail, at lease 21 days before the foreclosure sale, a notice to the borrower describing how to redeem the property. If the loan default is due to nonpayment, then the borrower can give notice of an intention to cure the default at least seven days before the foreclosure sale. The trustee must then, on request, investigate and tell the borrower the sum due on the loan. If, on or before 12:00 noon of the day before the date of the sale, the owners, parties or borrowers pay to the officer conducting the sale all delinquent principal and interest payments that are due as of the date of such payment, plus costs, expenses, late charges and attorney’s fees, but not future principal (since no extra debt is allowed due to acceleration) then the foreclosure must be stopped. This right my be exercised more than one time. The foreclosure sale must be held between 45 days and 60 days after the recording of the election and demand for sale. The public trustee may conduct the sale at any door or entrance to a courthouse, not withstanding the deed of trust’s provisions, or the trustee may conduct the sale at the location specified in the deed of trust. The trustee will pay an excess proceeds from the foreclosure sale to creditors in order of their priority, and the balance to the grantor, who has five years to claim it. 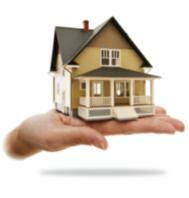 Title is conveyed by deed to the higher bidder, who may be the lender. The lender may sue for a deficiency. The borrower has 75 days after the date of sale to redeem the premises by paying the public trustee the sum for which the property was sold, with interest. A variety of redemption periods exists for junior lien holders. Special rights exist in the case of agricultural borrowers. Callie, with this post you have provided valuable information for folks in Colorado for understanding the two categories in the foreclosure process. They should just call you to assist with the details in this troubling time of life. Very interesting read. Those pictures are amazing. Gary- Thank you, I truly feel that in order for people to make a important decision, they need to have all resources at their finger tips. Tom- I love these pictures, I might plan my next vacation stay in Colorado!